This week, FC Barcelona has launched both a brand new website and a new mobile app. This is the first step in a new digital strategy to offer world class digital content and services to its fans all around the world, while also remaining faithful to its members, supporters clubs and local fan base by streamlining all kinds of interactions with the club. With an attractive design and intuitive usability, there is a strong focus on entertainment, with video, engagement, personalisation and geolocalisation all playing their part, including ‘second screen’ coverage of matches, player profiles and information specifically aimed at member and fan services. Both products are primarily designed for mobile use, given that that this is the medium used for 70% of total visits these days. The new web/app (iOS / Android) are all part of the club’s philosophy of needing to evolve and innovate in the digital realm, so both products will be undergoing constant improvements, as shown by the way in which they were originally launched in beta format to offer fans the chance to voice their opinions and suggestions, many of which have already been taken on board in an interactive two-way process. Interaction is very much the keyword as the club seeks to further personalise and enrich the user experience. With 80% of its audience living outside of Spain, much of the content is aimed at people who might never get the chance come to the Camp Nou in person, but who the club wants to involve all the same, albeit remotely by developing digital content and experiences that appeal to them – while also staying loyal to its local members, whose needs differ and who require more direct, preferential services. Users tend to prefer videos to other formats, so these will naturally play a prime role in the new digital content. Barça Video is set to become an even bigger part of the picture, and an absolute must-see for consumers with its entertainment shows, interviews with players, documentaries, highlight packages, archive footage and even complete game broadcasts. As well as on-demand audiovisual content, FC Barcelona is also providing live broadcasts aimed directly at its international audience. The Barça Live concept brings two great new shows to take the Camp Nou right to its fans. The first is live build-up to games from on the pitch and the second is 90 minutes of fun commentary on the action as it unfolds live. Both are broadcast solely in English. 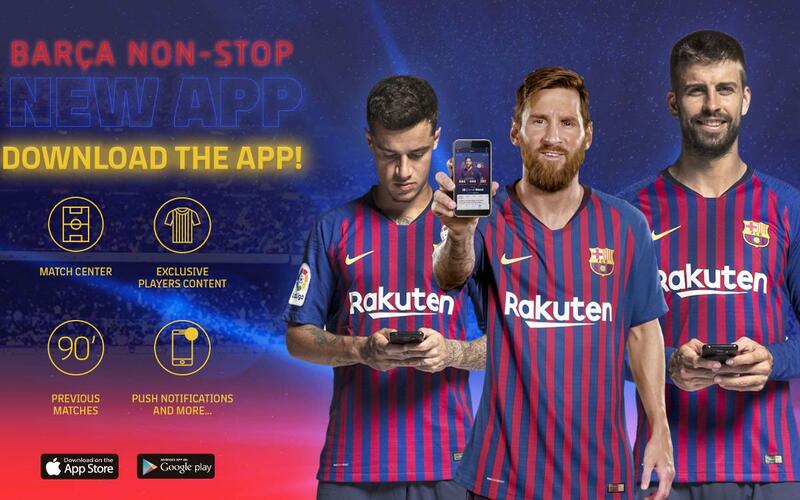 The goal of all this is to build fan loyalty by increasing visits both to the website and app, which will have a positive knock-on effect on online income via digital channels like Ticketing, Barça Video Premium, Barça Store and so on. As it happens, 65% of football ticket sales are now handled online.